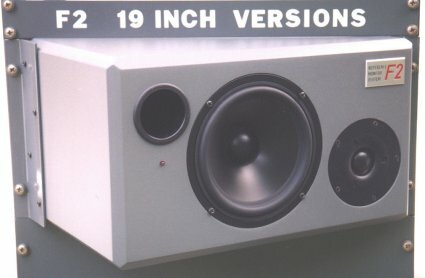 Special Versions of the Reference Monitor Systems by AUDIO "F"
Special Versions: Solutions by AUDIO "F"
Typical problems arise when mounting a standard monitor loudspeaker in a 19" rack. To overcome these problems AUDIO "F" designed several unique solutions. 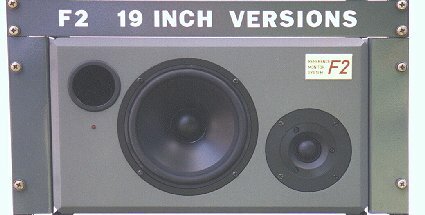 Both the F1 and F2 as the F3 are available in 19" rack mount versions. Other problems arise when sensitive monitoring equipment is used outdoor e.g. on a film set. 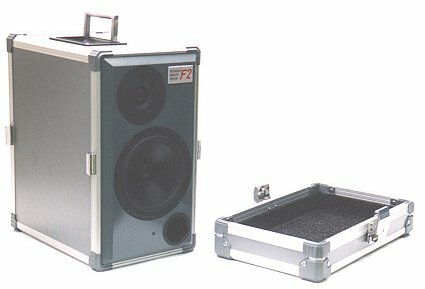 AUDIO "F" offers the F2 flight case series for difficult situations and harsh environment. High-end power on the road: the F2 flight case series. ...and it sounds even better!